Fraudsters have stolen more than £500m from British bank customers during the first half of 2018. A total of £145m of that was lost through authorised push payment (APP) scams, where people were duped into authorising a payment to another account, the trade body UK Finance said. The remaining £358m was lost due to unauthorised fraud, where the transaction was carried out by a third party and was not authorised by the account holder. In an APP scam, the account holder is scammed into authorising a payment to be made to another account. Current legislation means that customers have no legal protection to cover them for losses, if they have authorised the payment themselves. However, UK Finance said £30.9 million of the £145 million lost through APP scams this year had been returned to customers. This type of fraud often takes place online, through auction websites or social media. Katy Worobec, managing director of economic crime at UK Finance, said: “The criminals behind [financial crime] target their victims indiscriminately and the proceeds go on to fund terrorism, people smuggling and drug trafficking, whether or not the individual is refunded. “Every part of society must help to stamp out this menace, especially by stopping the data breaches which increasingly are fueling fraud. 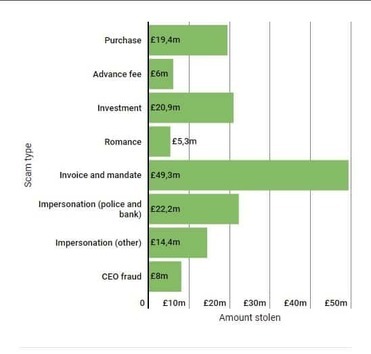 CEO fraud had the least number of cases but resulted in the highest average case value of £23,055, as the chart shows. There were also a total of 3,866 reported cases of unauthorised impersonation scams in the first half of 2018, with an average loss in a police and bank impersonation scam of £11,402 and in other impersonation scams of £7,504. As part of these scams the criminal purports to be from the police, bank and other organisations and tricks the victim into transferring money, often claiming there has been fraud on the account. Katy Worobec says the industry was taking action to tackle the problem, by investing in security systems and cyber defences, as well as bringing in new standards to ensure victims get support from their payment providers. 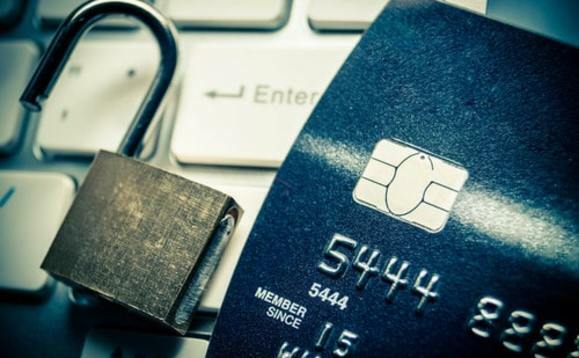 UK Finance said financial institutions had prevented two-thirds of unauthorised fraud in the first half of 2018. Losses due to unauthorised transactions on payment cards fell 2% year-on-year to £281.2m, with the financial industry helping to prevent £493.5m in attempted unauthorised card fraud. There were 1,036,376 reported cases of unauthorised financial fraud, a rise of 10% compared with the year before.